The below are on hold at Daffy's Herald Square, 6th floor registers, till the end of the day under Tricia. That's me. Go and pick it up if you like. I was seriously so brain dead today that I couldn't think of a fake name fast enough. And sorry these Daffy's photos are so crapola, but I had to use my cell phone as numbskull's camera battery was left charging in her office. Is anyone else really tired and spacey today? The four-day weekend can't come fast enough. 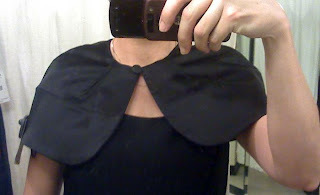 This Flavio Castellani capelet ($33.32, size 6) is satin and so adorable in person. 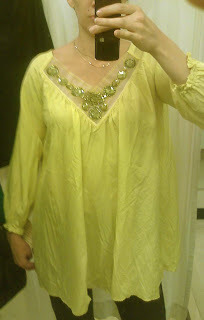 The Patrizia Pepe top ($79.99, size 8) is very caftan-ish so of course I love it. And it's way more yellow than my cell could capture. It's even called "Super Yellow." Comes with super yellow sash. 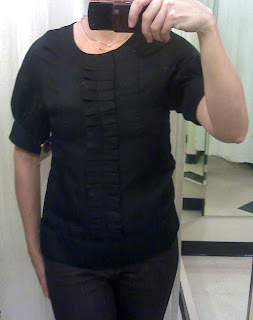 Pretty, pretty Tracy Reece top ($29.99, size 4), and I could keep my pants on. This is the one that got away, because I bought it for $26.66. I promised myself I'd get this silk re:sound dress if it went on sale back in October, so I had to keep my promise, right? Go find your own in the sale rack on the 6th floor! I promise you won't look chubster in it, it's actually very flattering. This is just a camera phone issue and has nothing to do with how much I ate last week. Happy New Year, Ms. 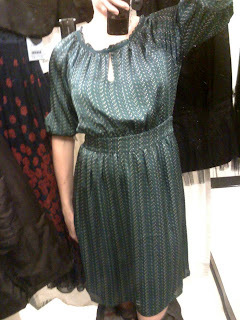 Fashion Herald :) Sorry I don't get around to commenting often, but I read almost every day! 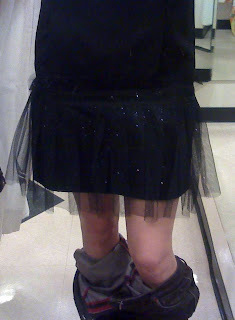 love that tulle!!! happy new year sweets! You funny bunny. Is it possible you're the only blogger to ever post an outfit shot featuring sqwunched down pants you were too lazy to remove? Jill - I am honored you drop by, as I'm a big fan of your site! Happy new year! Geri - Happy new year to you too, and I'm looking forward to lots more of your fabulous addictions in 09! Sal - ummm, maybe? I do this so much I figured it was time to document it for posterity! Big Happy New Year! 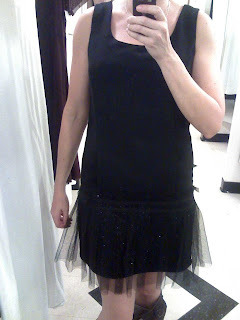 You look good in tulle!